With an interest in not only growing their online presence, but fine tuning their web operation, Sesame Workshop engaged the Gass Company to develop and implement an online strategic plan. 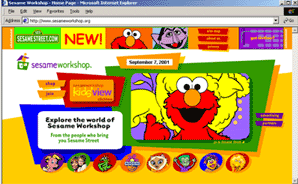 Dubbed “Sesamization,“this plan included a child-centered graphic re-design, the creation of a platform to showcase Sesame Street as well as other Workshop characters and franchises, along with a distribution strategy. Page views more than doubled and unique visitors tripled.